There is nothing more American than dressing up like a German and drinking beer... LOL! While you could spend your time debating the legitimacy of that opening statement, we think you’ll be much better served seeing how you can best explore the Oakland Ale Trail during this year’s Oaktoberfest! Don’t be that person that goes to a beer festival without a plan to get home. This is a huge event and you’ll want to maximize it. Book a room at one of the two hotels in Oakland that are offering a special rate (including discounted tickets) for this year’s Oaktoberfest. If you fail to prepare, be prepared to fail. One does not simply walk into a beer festival and get the most out of it without having a plan. We are talking 200+ craft beers, a Homebrewers’ Alley, multiple stages for live entertainment, and more. Get all the details directly from the Oaktoberfest website! Ladies- stop pretending that you like the “Dad-bod”. Guys- stop pretending that you are proud of yours. 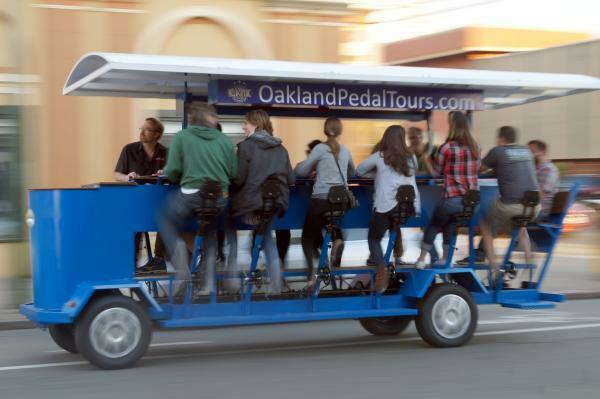 Work off some of those hard-earned calories by booking a spot on Oakland’s only beer bike. Velocipede Tours is offering 20% off for using the promo code “Oaktoberfest”, and is good for bookings on September 29th and 30th, as well as on October 1st. Book your tour here. This is a family friendly kinda beer festival, no need to come solo. Your significant other doesn’t like beer? BOOM! Oaktoberfest has the Red Oak Realty Wine Pavilion- problem solved. Worried about what to do with the kids? BAM! Rootbier Garten featuring Root Beer Floats and a family stage with a kid’s game area coming at ya! Oaktoberfest gave you a taste of Oakland’s craft beer scene, now make sure you get back to the taprooms and find out what else is out there. 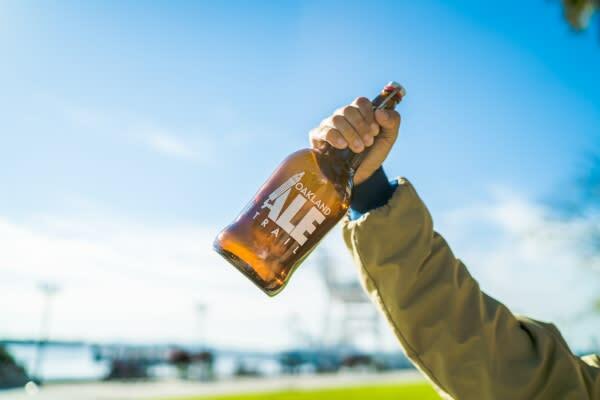 Pick up a passport, collect a stamp at each brewery, and earn your free “Oakland Ale Trail” branded growler. Drink and ride! Amtrak is offering three exciting opportunities to travel to Oakland and explore the Sunny Side of the Bay.